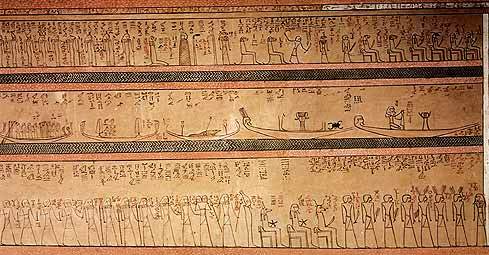 This decoration depicts the 1st to the 12th divisions of the Amduat in a very similar style and manner to that found in the tomb of Tuthmosis III (Amenhotep II's predecsor) - KV34. 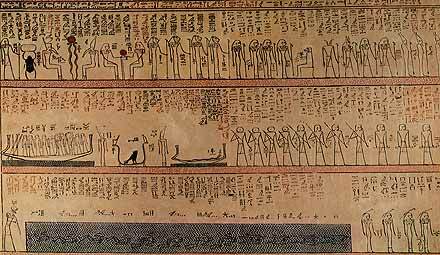 The scenes are made up from 'stick'like figures painted in three registers around the room. 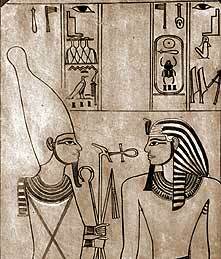 7th Hour of the Amduat - top register Osiris sits (while ringed by the Mehen snake) while a god with cat ears punishes enemies. 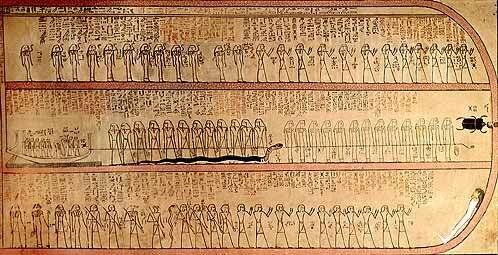 In the middle register the Apophis snakes attempts to bloke the route of the solar bark, but it has already been rendered harmless by knives and ropes. 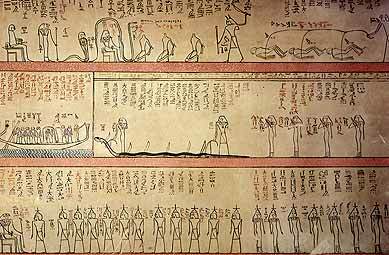 12th and final Hour - the middle register depicts the sun god rejuvinating himself as well as his entourage before he enters the body of a snake, then he transforms into a scarab and then climbs on the arms of Shu into the sky.